Durango’s Christopher Blevins tamed the cross country course at the USA Cycling Mountain Bike National Championship in Snowshoe Mountain, West Virginia, to win the men’s under-23 race. Chris Blevins was one flat tire away Thursday from landing on a podium with the top professional men’s mountain bikers in the United States. Sunday, he left no doubt who the top under-23 rider is in the nation. 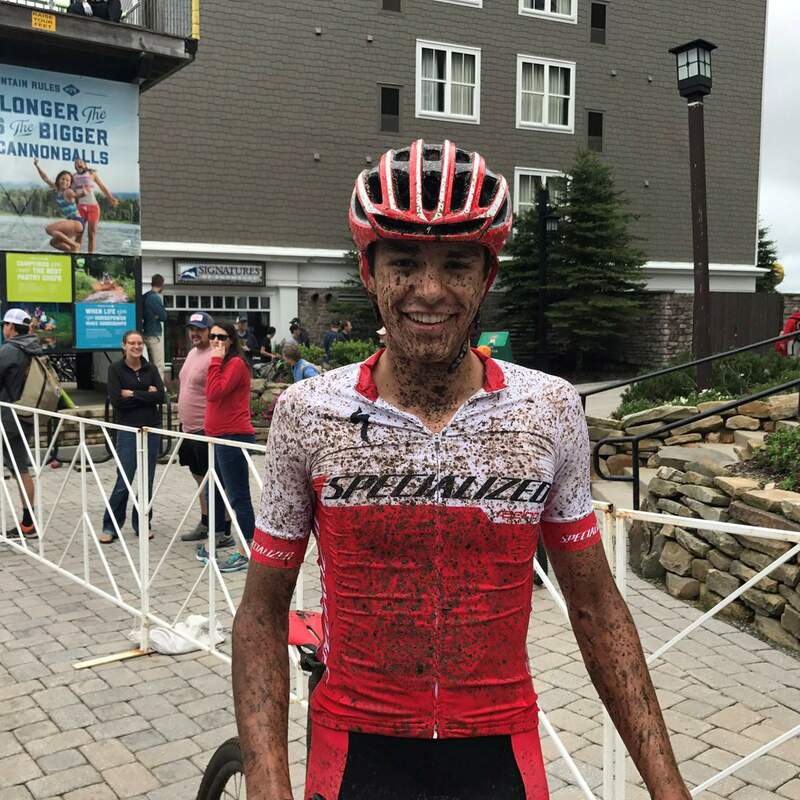 Blevins, a 19-year-old from Durango and 2016 Durango High School graduate, won the USA Cycling Mountain Bike National Championships cross country mountain bike race for under-23 men Sunday at Snowshoe Mountain in West Virginia. He crossed the finish line in 1:27:54 to edge North Carolina’s Luke Vrouwenvelder, who finished in 1:28:42. Sandy Floren of California was third in 1:29:11. Blevins had rode at the front of the short-track race Thursday with eventual national champ Howard Grotts, also of Durango, before a flat tire derailed his day and sent him to a 21st-place finish among the professional men. Back in the under-23 category Sunday, Blevins wouldn’t be stopped from the start. He said he made a point to ride nice and smooth to avoid any more flat tires. Grotts, who is on the Specialized Factory Racing Team, said the young Durango phenom that is Blevins is helping keep him motivated in the elite pro men’s fields, too. Durango’s Stephan Davoust finished seventh in 1:31:06 and rode in the front three at the mid-way point of the race. His fellow Fort Lewis College rider Cole Paton of Washington placed in fifth in 1:30:13. Durango’s Jorge Munoz Jr. placed 33rd in 1:46:37. Fort Lewis College’s Henry Nadell, who is from Carbondale, was 23rd in 1:39:41. The women’s under-23 race was won by Haley Batten (1:21:21) of Utah. Hannah Finchamp (1:30:14) of Washington was second, and California’s Kelsey Urban (1:31:31) placed third. Durango’s Ellen Campbell placed sixth in 1:36:26. Blevins will race the Boston Rebellion, the final stop of the U.S. Cup series, next week before returning home to prepare for the Colorado Classic road cycling event.